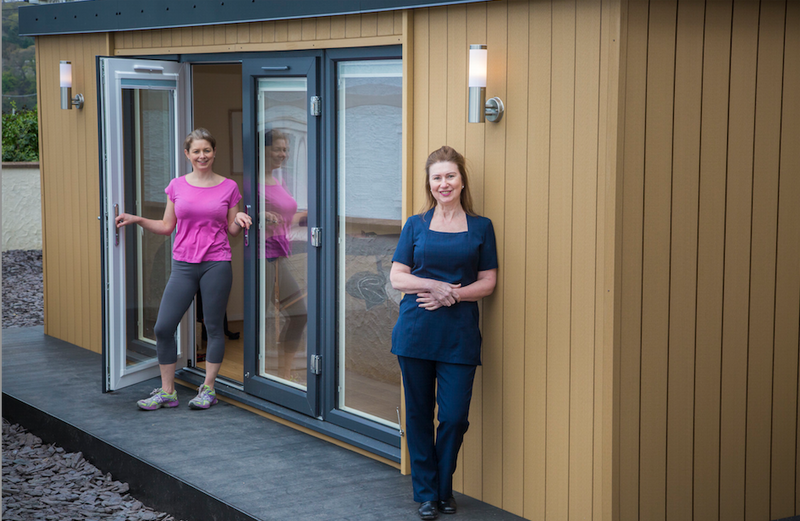 Businesswoman Ruth Brockley, who runs a Laser Clinic, has installed a new Garden Room in North Wales in the grounds of her premises in Menai Bridge, Anglesey. 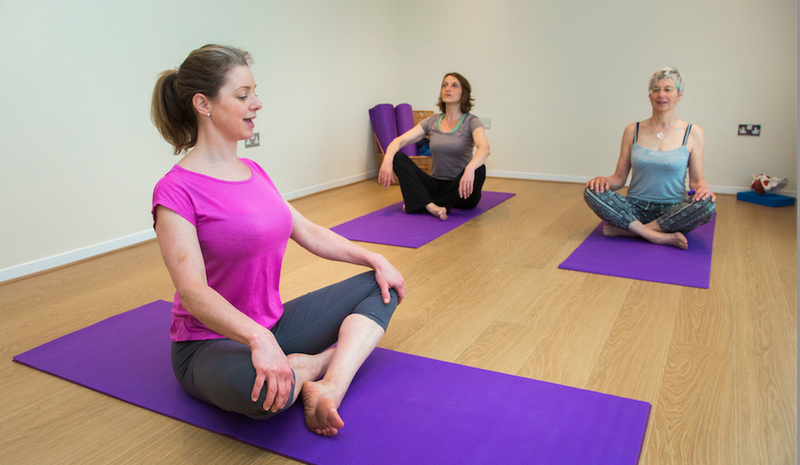 Specialising in women’s and health fitness, Sarahjane offers help and support to women aged 18 to 85, focusing on improving core strength, pelvic floor restoration and soft tissue release to build strength and flexibility. Ruth will also be using the 23 sq metre Garden Room for training classes as she expands Laser Clinic North Wales, which offers a range of services for women and men, including hair removal, skin treatments and rejuvenation plus tattoo removal. “I thought a Garden Room would be perfect to provide valuable extra space. It has been built in an empty area to the rear of the premises, which wasn't being used to its full potential,” said Ruth, who runs the laser clinic with her daughter Ellen. “Sarahjane will use the new Garden Studio for her health and fitness sessions, while I plan to make the most of the building at other times as a training facility for my team. “I was really impressed with Rubicon’s Managing Director John Lyon, as he understood our business and what we wanted. The Garden Room is six and a half metres by three and a half metres and is absolutely stunning. It took just a couple of weeks from the start of work to completion, so there was very little disruption to the business. “I’m delighted with it and I am confident the new space will be an asset to our business and allow my company to grow, while supporting Sarahjane in developing her client base. Sarahjane, who lives nearby with her three-year-old son Beau, is also thrilled with the Garden Room. She said: “It is a beautiful Garden Studio space, simple and quiet, so a real haven of peace. It will provide me with much-needed space to carry out my consultations and fitness sessions. “The sessions I run are small with just a few people - the design of the Garden Room creates a feeling of intimacy, peace and pure escapism. Fitness fan Sarahjane, who is a former ex- triathlete, windsurfer, mountain biker and paddleboarder, recently re-located back to North Wales from Macclesfield in Cheshire. She works extensively with women who want to be strong and healthy but who suffer from skeletal or other medical dysfunctions within their body. This may be back pain, pelvic organ prolapses, a weak pelvic floor, fibromyalgia or other chronic conditions. 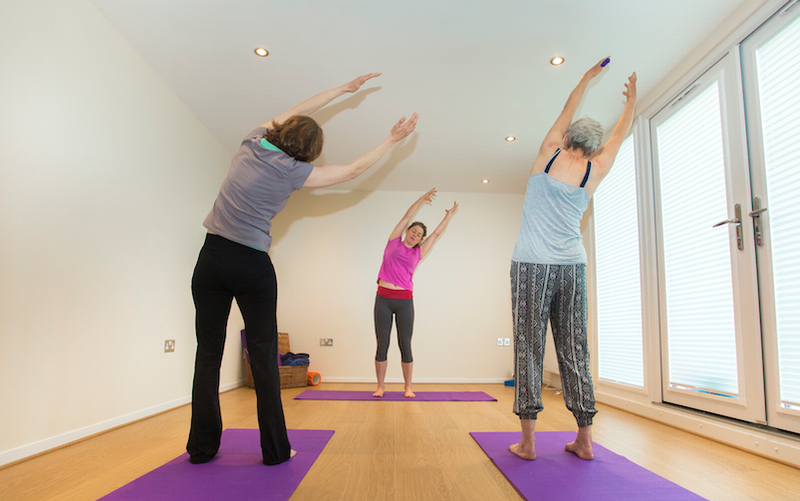 John said: “This is our first professional fitness studio, although I know that several of our customers use their Garden Rooms as Home Gyms or for exercises such as Pilates and yoga. “The new Garden Building has meant that Ruth has been able to quickly provide extra space to enable Sarahjane to offer more sessions and so expand both of their businesses.